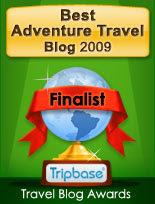 I was pleasantly surprised to learn that Escape From New York was chosen as a finalist by Tripbase for its Adventure Travel Blog Awards. This blog is in good company and you can check the full list for the Adventure category and many others here. 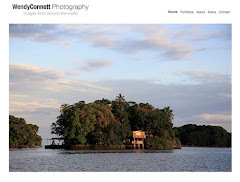 Earlier this month The Travel Photographer was kind enough to feature my recently revamped photography Web site. Another pleasant surprise. I read TTP daily and wish I were attending the Foundry Photojournalism Workshop in Manali, India later this month where Tewfic will be an instructor. Don’t miss his beautiful portraits. And on Monday I was featured in Prêt a Voyager’s Boarding Pass Column. Another must read for me I’ve been reading the column and Prêt a Voyager since inception and it was a delight to take part. I love the way Anne ties together the design world and travel and look forward to following her blog as she moves to Paris in the fall. Congrats, Wendy! I just found out myself that my blog was included for an award as well. It's so gratifying to know that organizations and businesses out there are recognizing the value of blogs :), don't you agree? Congrats Wendy! My blog was listed as finalist for the technical awards ('best design') by Tripbase! Great to hear the Great News. I wish you to be winner. Congrats Jen and Final Transit and thanks to you all. One of the best things about being a travel blogger is the kindred spirits you "meet" along the way. woo hoo! well done you. fully deserved. Congratulations and yes, one of the best things about blogging is all of the wonderful people you meet!